The very notion of a “Palestinian Arab nation”, having ancient attachments to the Holy Land going back to time immemorial is one of the biggest hoaxes ever perpetrated upon the world. There is not, nor has there ever been, a distinct “Palestinian” culture or language. Further, there has never been a Palestinian state governed by Arab Palestinians in history, nor was there ever a serious Arab-Palestinian national movement until 1964…three years BEFORE the Arabs of “Palestine” lost the West Bank (Judea and Samaria) and Gaza as a result of the 1967 Six Day’s War (which the Arabs started). Even the so-called leader of the “Palestinian” people, Yasser Arafat, is Egyptian! In short, the so-called Arab “Palestinians” are a manufactured people…a people with no history and no authority…whose sole purpose for existence is to destroy the Jewish State! Israel first became a nation in 1312 B.C., two thousand years before the rise of Islam! Seven hundred and twenty-six years later, in 586 B.C., these first ancient Jews in the land of Israel (Judea) were overrun and Israel’s First Jewish Temple (Solomon’s Temple) on Jerusalem’s Old City Temple Mount was destroyed by Nebuchadnezzar, king of ancient Babylon. Many of the Jews were killed, enslaved or expelled; however many were allowed to remain. These Jews along with their progeny and other Jews, who would resettle over the next 500 years, rebuilt the Nation of Israel and also a Second Temple in Jerusalem on the same site as Solomon’s Temple. Thus, the claim that Jews suddenly appeared fifty years ago, right after the Holocaust, and drove out the Arabs is preposterous! Then, in 70 A.D.(nearly 2,000 years ago), it was the Roman Empire’s turn to march through ancient Israel, known at that time as Judea, and destroy the Second Jewish Temple, slaughtering or driving out much of the Jewish population. 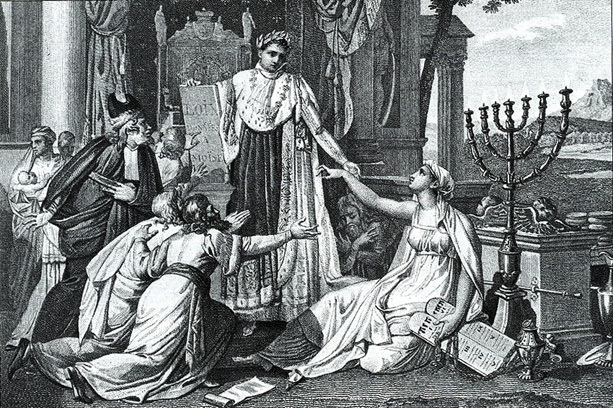 The Romans, without success, had tried to impose their many deities on the Jews, but few Jews were willing to submit to the Roman demands regarding their worship, and were certainly unwilling to regard a Roman Emperor as a divine being. After a succession of uprisings against Roman rule, in which over one and a half million Jews were killed, enslaved or driven out of their homeland, the then Roman Procurator in charge of the area decided to take even another measure in retaliation. Calling his scribes, he asked the historians as to who had been the worst enemies of the Jews in past history. 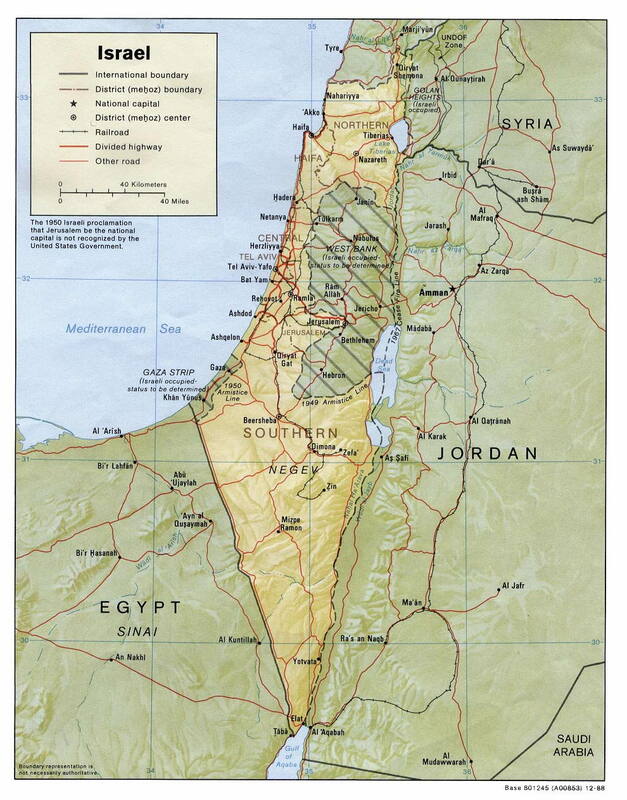 He was told the “Philistines.” Having this determination, he then ordered all maps altered to reflect that the Land of Israel (Judea) would be labeled “Philistia” (further bastardized into “Palaistina”) to dishonor the Jews and obliterate them, if only figuratively, from the map. Hence, the name “Palestine” was invented, and entirely appropriate that this invented name of the Romans would be used by Muhammad’s invented religion of Islam, over 1,800 years later, when initiating its campaign to steal the Jewish homeland. Over 3,250 years, various Peoples, Religions and Empires marched through Jerusalem, Israel’s ancient capital established by King David. The region was successively ruled by the Hebrews (Jews), Assyrians, Babylonians, Persians, Greeks, Maccabeans, Romans, Byzantines, Arabs, Egyptians, the Crusaders, Mamelukes, the Turks (who indifferently governed the backward neglected territory from the 16th Century until the British drove them out during World War I) and then once again by the Jews in 1948. None bothered, nor were they in the least bit inclined, to build a Nation of their own…EXCEPT the Jews! It should be noted that in 636 A.D., when the Arab marauders of Muhammad came to the land, and uprooted even more of the Jews, they did not form any Arab nation there…and certainly not a “Palestinian” nation. They were simply “Arabs” who, as did others before them, moved into a geo-political area called “Palestine!” And, remember this one fact…it was not the Jews who “usurped” (a favorite word from the Arab propagandists) the land from the Arabs. It was the Arabs in 636 A.D. who overran and stole it from the Jews! A point: The Dome of the Rock Mosque was constructed atop the ruins of the second Jewish Temple, and not vice-versa! The Jewish People have the most legitimate “Birth Certificate” of any nation in the world! Every time there is an archaeological dig in Israel, it does nothing but support the fact that the Jewish People have had a presence there for well over 3,000 years. The national coins, the pottery, the cities, the ancient Hebrew texts…all support this claim. Yes, other peoples have passed through, but there is no mistaking the fact that Jews have always had a continuous presence in that land for over 3,000 years. This predates and certainly dwarfs any claims that other people in the regions may have. IN CONCLUSION: No nation, other than the ancient nation of Israel and later again in 1948, with the rebirth of the 2nd Nation of Israel, has ever ruled as a sovereign national entity on this land. A mighty Jewish empire extended over this entire area many centuries before the Arabs, and their newly invented religion of Islam appeared on the scene in the 7th Century A.D.
End Notes: (1) The above article has had no deletions from its original content, but it has slightly amplified the explanation of why Israel has been named “Palestine”. Readers are urged to access the Masada2000.com website since it is highly informative and its information has been well researched. (2) Caution: A part of this website enables viewers to access video clips showing Muslims conducting ritual murders of prisoners, and this viewing is certainly not for children or the faint of heart!